Access Mechanical Handling are proud to announce that we are now exclusive dealers of Agria Rough Terrain Forklifts in Scotland. 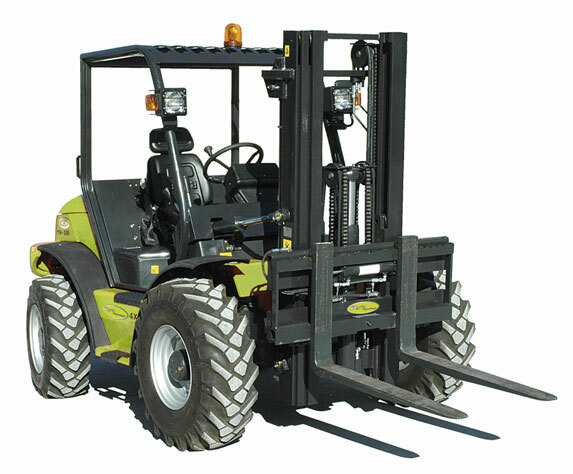 These powerful and sturdy forklifts range in capacity from 1.6 tons to 3 tons and are all 4-wheel drive. They are manufactured in Western Europe. The trucks are produced with well proven components, such as Perkins/Deutz engines. Transmissions are Rexroth with lift heights of up to 6 metres (duplex or triple masts). These incredible machines are designed for easy maintenance. Spare parts and full technical support are readily available. Call us on 01698 745859 or click here to contact anyone on the Access Mechanical Handling sales team to discuss how we can help. We look forward to hearing from you.